Popped in to All Star Burger during a rare trip to that neck of the woods. 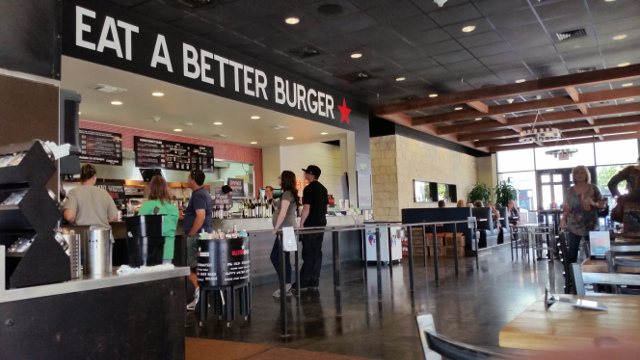 Like most new burger places these days, they tout fresh hormone-free beef, never frozen, etc. Burger was ok, nothing spectacular. The size was good, seemed a bit thicker than the standard thin-patty, and was cooked well (some pink inside). Veggies were fresh, cheddar was “Tillamook”. Bun was a bit of a distraction–too thick, too interesting in its own right. A proper bun should just do its job of holding the burger, and get out of the way. But a nice presentation, reminded me a bit of Smashburger. The real killer was the fries–boring frozen fries. As I’ve said before, I don’t see the point of having a fresh burger and fresh bun and fresh this and hormone-free that, and not serving fresh house-made fries. Especially in Austin, where we are drowning in real french fries. And they are so much better than the afterthought frozen french fry. 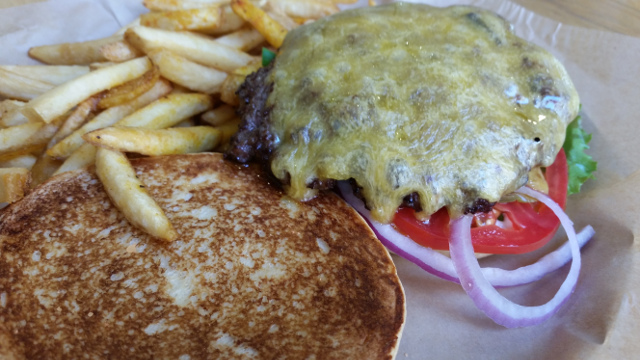 So overall a nice place, nice presentation, decent enough burger, but the weak fries really leave a bad impression. Thank you for noticing, rl.